I remember our shopping afternoons in Venice. 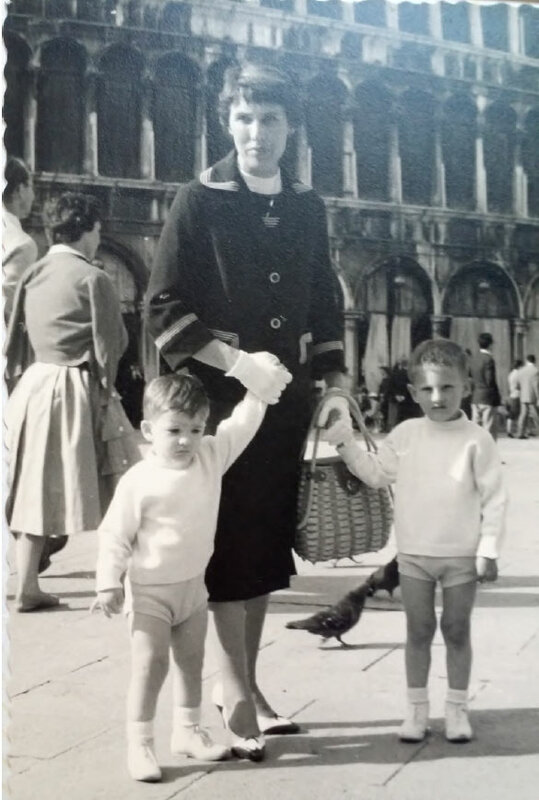 My mum has always had a natural sense of elegance (Italian style?) and we took the vaporetto from Lido (where we have been living for a while) all dress up and excited. The time was counted as was the money, and we carefully chose the shops to visit: quality at a reasonable price was the motto. We only bought essential stuff, nothing for fun. But at the end of the day came the most exciting moment for us, kids: a stop at the pasticceria Rosa Salva, one of the most famous pastry shops in Venice. And there, we had a cannoncino alla crema, a delicious puff pastry with a light and delicate vanilla cream inside.